Odyssey Storytelling can only survive with your support. When you buy tickets to the performances and make donations you help keep the stories flowing and the bills paid. 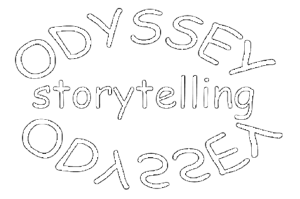 Odyssey Storytelling is a program of StoryArts Group, Inc, a tax exempt 501(c)(3) nonprofit corporation. All donations are tax deductible to the extent allowed by law and they are gratefully accepted.